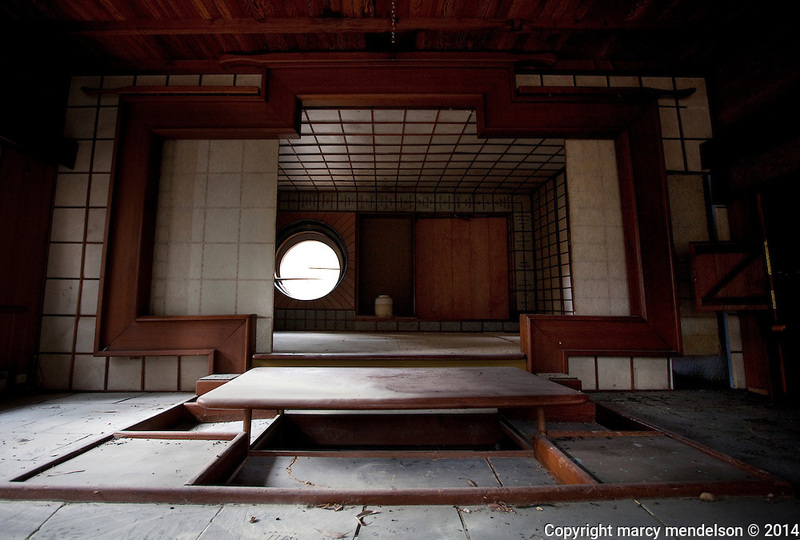 Now a dust covered interior, this sunken Japanese style living was the site of many gatherings. Ed Stiles recalls the good times that took place around this dining table. The house of Roger Somers, one of the original architects of the Druid Heights community. His building style was part 'Polynesian, Zen and acid' according to longtime friend and colleague, Ed Stiles.